We love that these are mini – perfect size for one little person to decorate all on their own. You’ll need six graham crackers per house (gf graham crackers are available! ), some royal icing and some ‘goodies’ you like to decorate with. About an hour before decorating (I actually did it the night before) …use your icing to ‘glue’ the edges of the house together. Use four crackers first to make the base and the last two to make the roof. Let the kids do the rest! 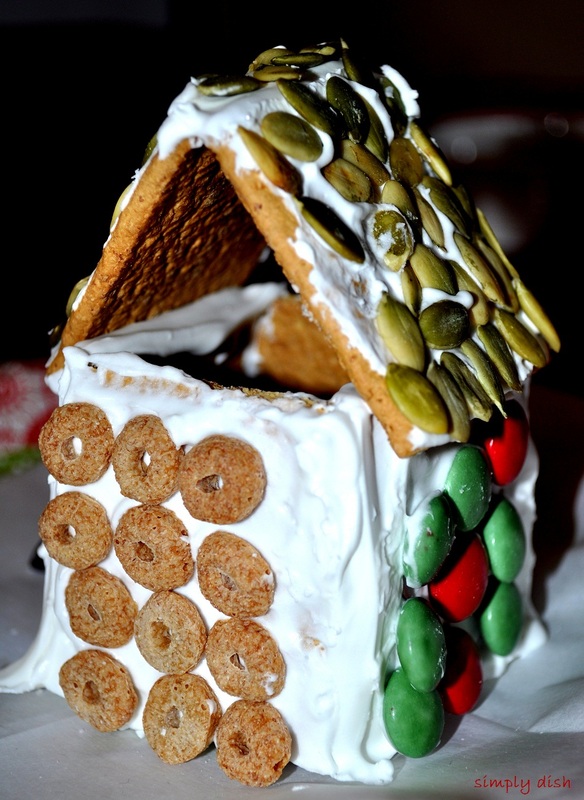 Pumpkin seeds make great shingles… just sayin’. I don’t see a link here.